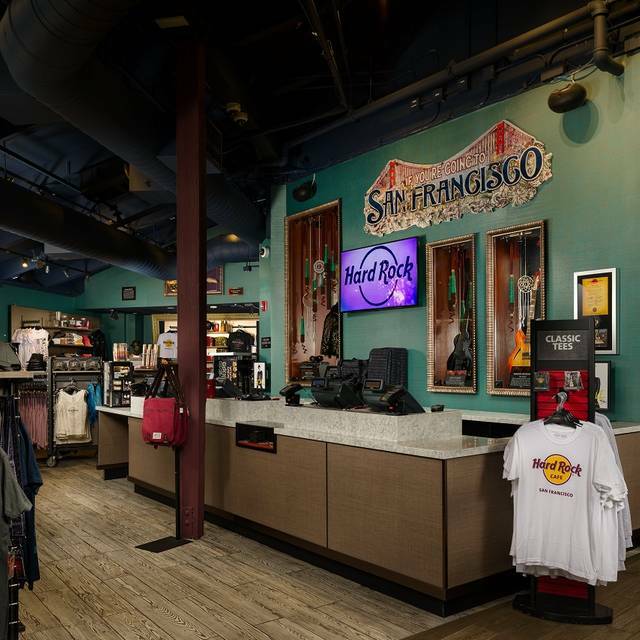 You must make reservations at least 5 minutes in advance of the time at Hard Rock Cafe - San Francisco. Awesome Place and very gentile Service!! Outstanding Hamburgers and Drinks! We actually arrived ahead of our scheduled time but the hostess made us feel right at home and greeted us by name. She was able to get us seated early and was extremely friendly. The food was great and overall service was outstanding. I’ll defiantly be coming back and would highly recommend using open table to make sure you have a table ready when you get there. Excellent service, kids friendly, cute venue. A+ experience. 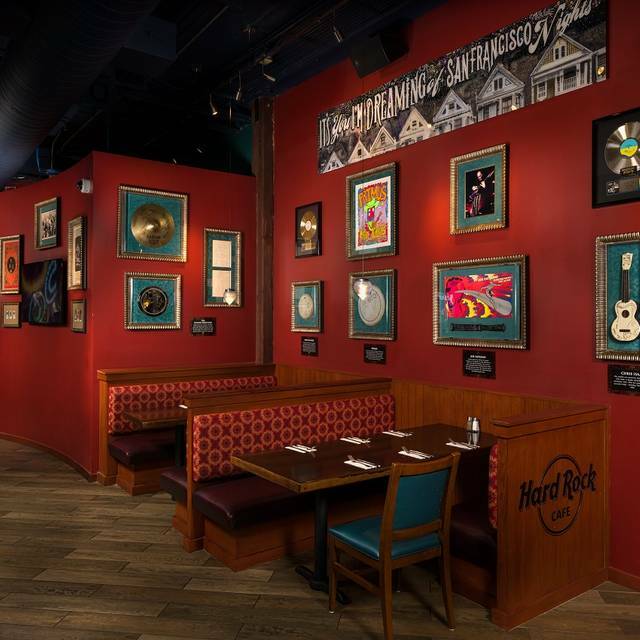 Must go if you are into hard rock cafe stuff (around the world). Came for a birthday celebration. Great food and the manager Shawn took great care of us. 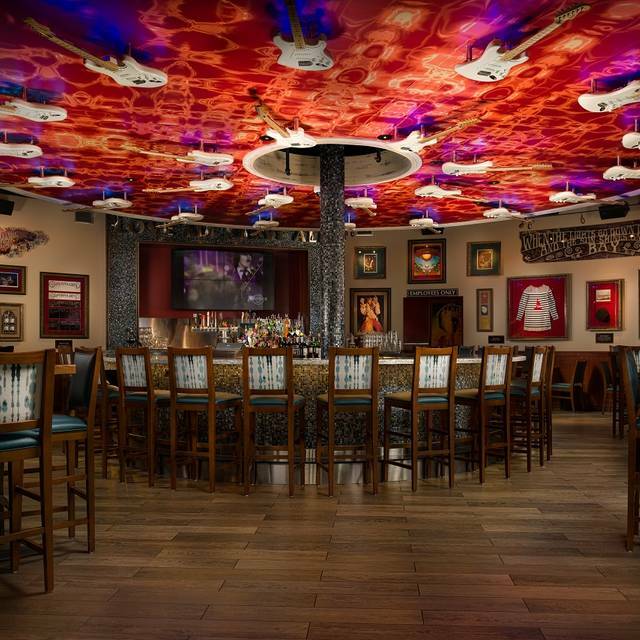 Hard Rock never disappoints! Great experience and fantastic service. Got our food quickly and the manager, Shane, came over to personally thank us for coming in. 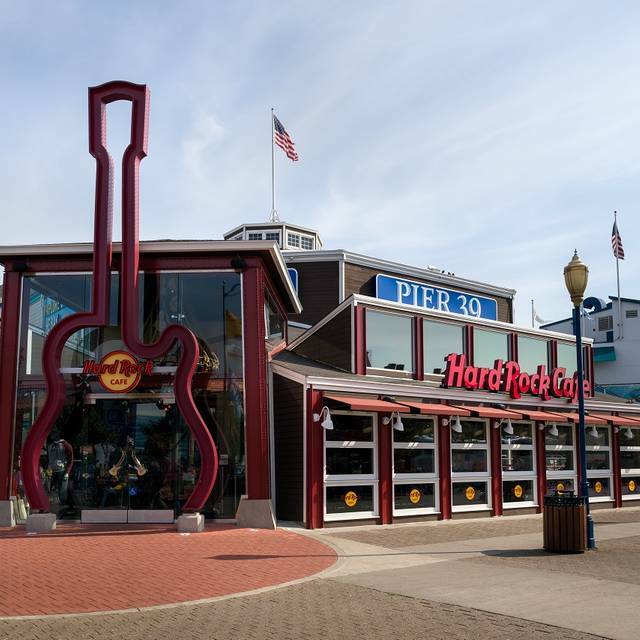 Went to the Hard Rock while visiting San Francisco for the weekend, WOW, what a meal, we both loved our meals, best one we had all weekend. We will definitely will be back. Shane and Victor were awesome. With Open Table we were able to go right to a waiting table, past the guest that were trying to make reservations. From arriving we were looked after. It was our daughters birthday and they made her feel special with the whole package. The food was delivered in a timely fashion and was hot. The Manager came over to check everything had been good and our waitress was attentive and helpful throughout. 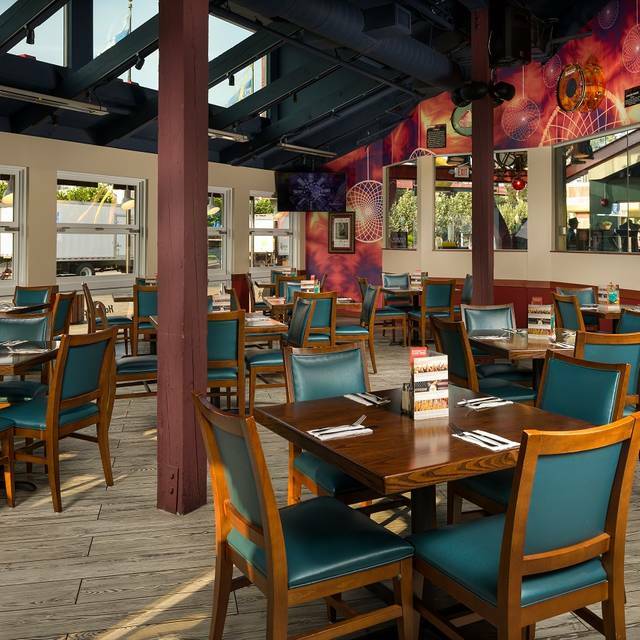 Great burger, great service, great location and ambiance. Would come back again and again. We used OpenTable to book a reservation and it was honestly the easiest thing ever! In just a few clicks we had a table and when we walked in, they greeted us by name and had our table already ready! 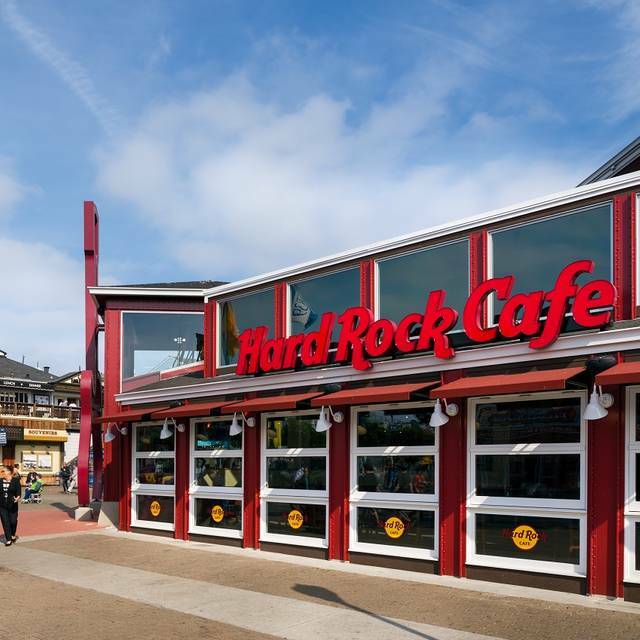 The Hard Rock Cafe was the first restaurant we ate at in San Francisco on our trip, and it could not have been a better experience. The food was amazing and they even asked us about our music preferences! If anyone is thinking about eating at HRC, I would definitely recommend using OpenTable for a better experience. The app also made it simple for us to look at the menu and see other reviews before deciding to book. Signing up for an account was also extremely simple. Overall, I have nothing negative to say about using OpenTable and would definitely recommend! Thanks. Everything was perfect. Service was outstanding. Good location on the pier. Food was great. We will be back, outstanding! Me and my wife came here for my 40th Birthday celebration. Fantastic service and amazing food . Good sized portions, and they serve the best onion rings I've ever had!! Ps the ribs my wife ordered were huge!!! 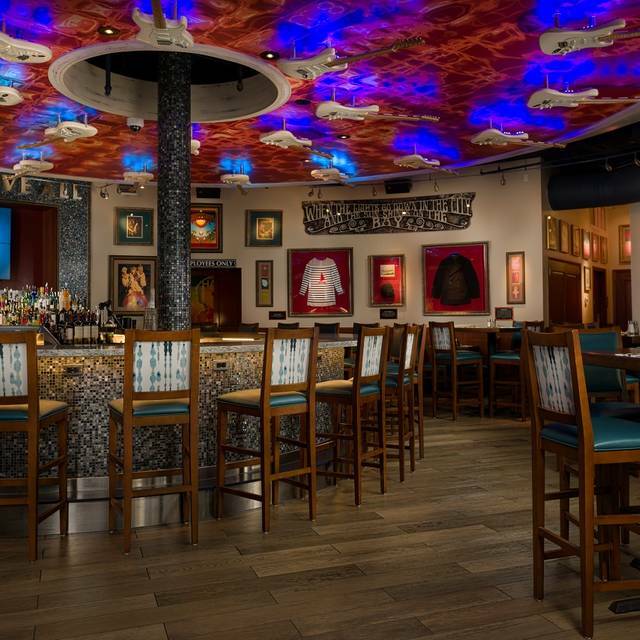 My friends and I were visiting and chose Hard Rock because of how easy it was to reserve on Open Table and we chose the time we wanted. I have never had an experience like I did there. The staff was INCREDIBLE and made it so fun for us to be there. They constantly checked in with us to have simple conversation or asking what we needed. We had the best time and was a highlight of our trip. 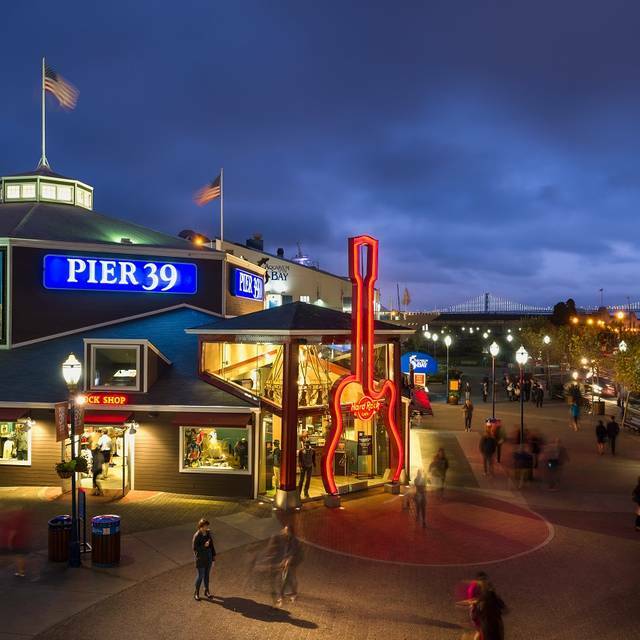 I would recommend Hard Rock San Francisco to anyone visiting Pier 39! What can I say. Always a great atmosphere with the most friendly helpful staff going. Great music played on request to. Food was fantastic best one I have visited in the chain so far. Brilliant occasion. Go do it you won’t regret it! I’ve been here before years ago and loved that experience, that’s the reason I wanted to go back! First the table are so close to each other I felt like I had to keep looking behind me to make sure my chair wasn’t in the way of someone wanting to walk by. Second the burgers we got were greasy and the drink I got was one where I got to keep the cup but for $16 it’s not worth it. 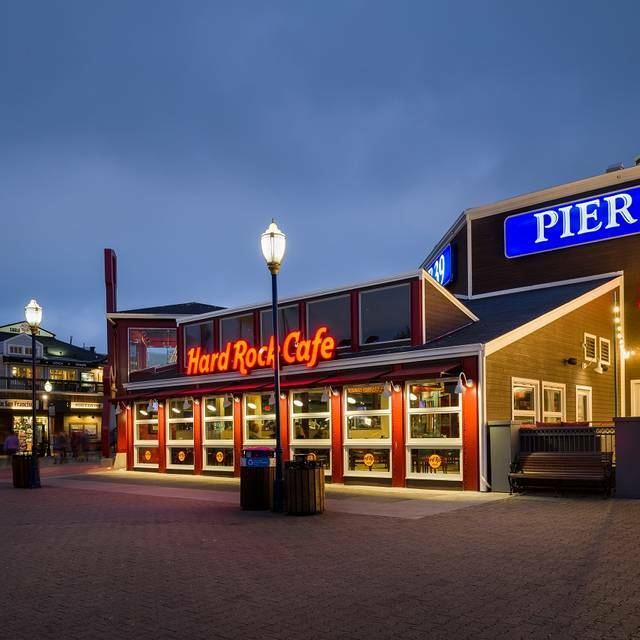 It’s averafe food for to much $ when you can go to a dozen other restaurants on the Pier.